The piece of carpet you see in this photo is obviously much dirtier than the average of most homes. The reason for this is to visually share with you the difference between the cleaning ability of a normal steam cleaning vs. a Rotovac. All the soiling you see in this photo came from us dragging the rug around on the street. Using the same vacuum and pump system plus the same cleaning agents, we cleaned one side of the rug with just a normal steam cleaner for one minute and then next to it with the Rotovac for one minute. The wand does a poor job cleaning. It is based on agitation by the technician. The cleaning tech gets tired pushing back and forth. Cleaning with the wand: Now trying to keep all things equal, even though you can’t. The technician wouldn’t even be able to continue at this rate over one room, much less a whole house. A cleaning technician is able to make about 100 passes over the area in a minutes time. This motion is only back and forth and there is no scrubbing action that multiplies the cleaning power of each pass. The wand was developed in the 70’s. It has no moving parts. It sprays water and soap then extracts it back up. In one minute the Rotovac produced over 3,000 cleaning passes at 360 degree angles. This cleans the floor from all directions. The Rotovac does all the work . The technician doesn’t get tired. It can flush more water and soap in and remove more water than the manual wand. Also, this level of cleaning is mechanically provided throughout the entire floor. The machine does the work instead of the technician. 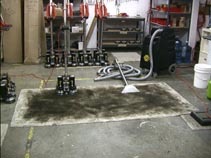 Now you can see how the cleaning results of the Rotovac are far superior to the regular steam cleaning wand. 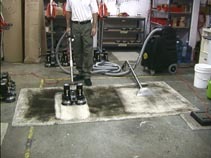 This method of cleaning is called Rotary Jet Extraction. 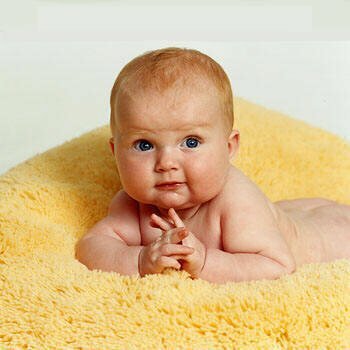 It is one of the deepest carpet cleanings your rugs can receive. The Rotovac makes 3,000 passes per minute. It agitates and moves by way of the motor on the machine. The technician doesn’t get tired and can clean better, faster and get the rugs dryer. The Rotovac cleaning wand gets you the cleaning level you should expect when you call a carpet cleaner. 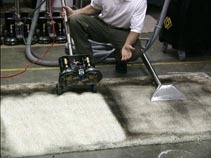 The proof is in the pictures, give us a call to get the best carpet Rotovac Carpet Steam Cleaning Northern VA available.